Some Years Ago, A Mother Gave Birth To 6 Beautiful Babies. Here’s How The Family Looks Like Today! The best thing about the web? Sharing the lives of the billions of people around the globe, finding out about their happy moments and miracles. It's not just your next door neighbor who you get to see every day - it's everyone. That is why when this unbelievable family appeared overnight, some years ago, everyone fell in love with them. However, their inspirational story doesn't have to end there. Here they are again today, and you'll never believe what they look like now. 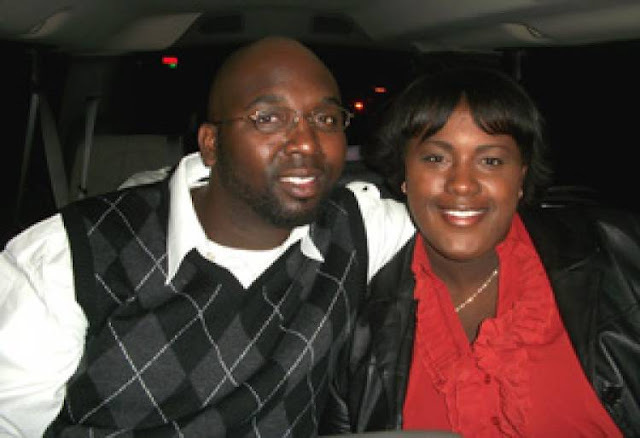 Mia and Rozonno McGhee used to be just like any other young couple. On the surface, at least. They had been married for several years and were desperately trying to have a baby. Little did they know that they were about to get much more than that. When the exciting news arrived, it appeared to be quite the shock. Mia was pregnant, though not with one or two babies. 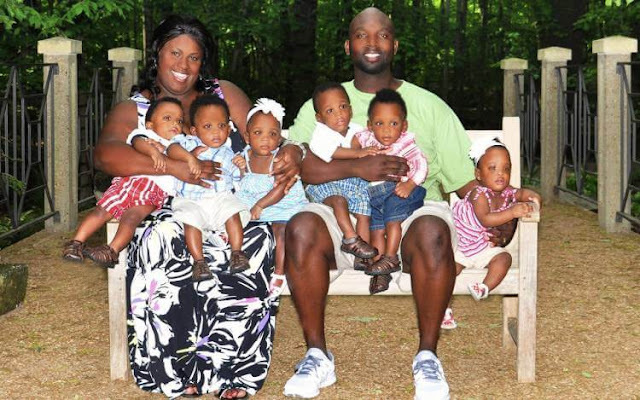 She was expecting a sextuplet; 6 beautiful children, all at the same time. That would require a little more planning. 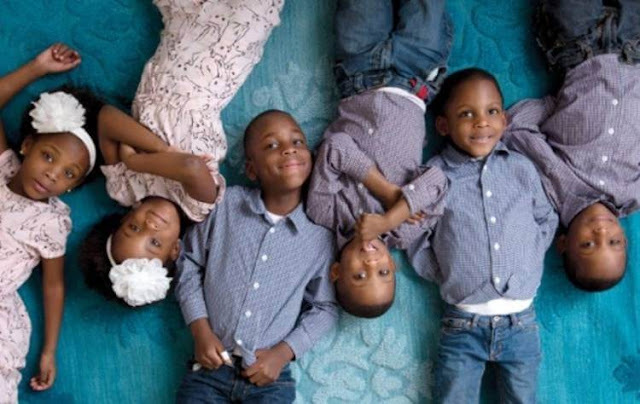 Even having twins is somewhat uncommon - so what are the chances of having six babies, all at once? Pretty small. Only one in 67 pregnancies is a multiple birth. 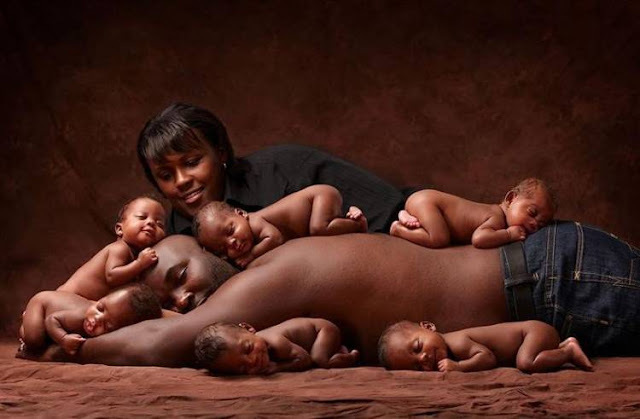 So, having sextuplets naturally is about one in 4.7 billion chance. 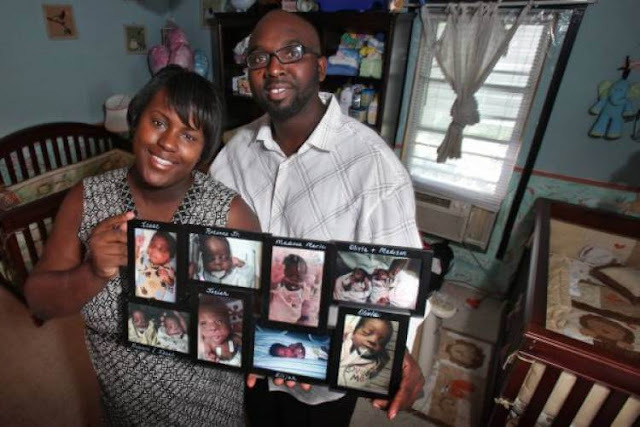 With fertility treatments, the rate might be a little higher, but not that much. 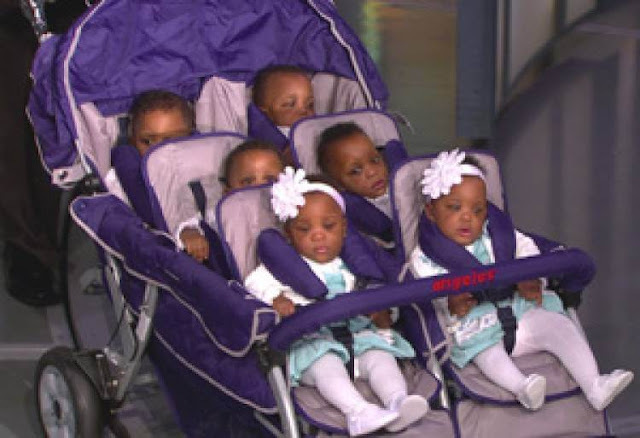 With only six sets of sextuplets now living in the entirety of the US, it's no surprise the McGhee's new family broke some records. 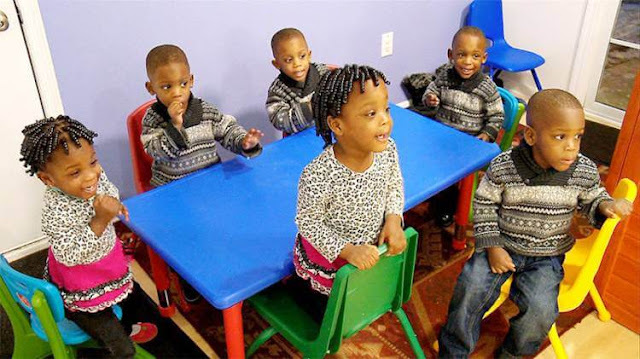 In fact, when the children were born in 2010, they were the first sextuplets that Columbus, Ohio, had seen ever. Here is the wonderful new family, as they first appeared in 2010. Photographer Brian Killian was the one who recorded their debut to the world and did so with this amazing snapshot of the family all sitting on Rozonno's back. In any other decade, that would be a small story in the newspaper or a portrait on the mantelpiece. However, when this photo appeared online, everyone in the world went crazy. The McGhees became celebrities overnight; their life has never been the same since then. 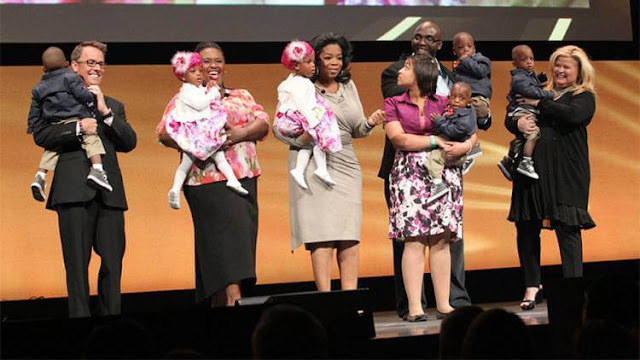 They even went on Oprah to share the news, delighting audiences with the adorable babies and their funny stories of raising six infants simultaneously. And, of course, you know you've made it if you have been on Oprah, as she's the stepping stone to greatness. The offers did not stop there. 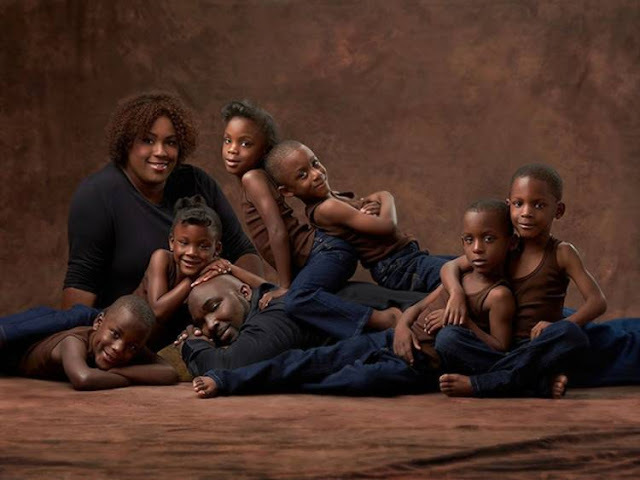 Within several months of the photo first surfacing, the McGhees were approached with the idea for a reality TV show, named "Six Little McGhees". 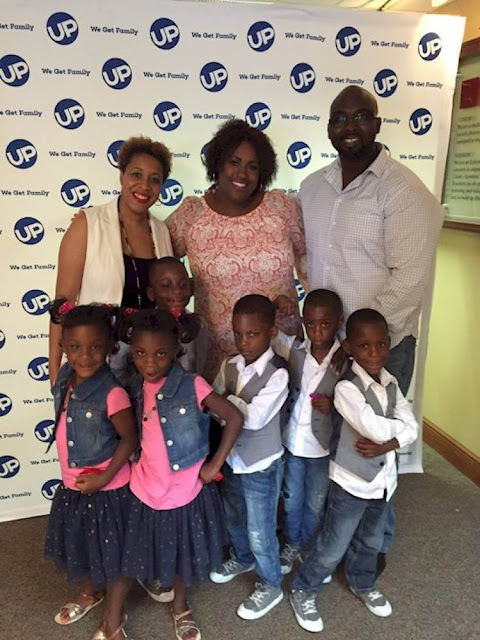 The family jumped at the chance to show off their parenting skills. The show had a successful three-year run. Most internet celebrities who suddenly became viral are a flash in the pan, as they usually can't hold our attention span for more than a week or so. But not the McGhees. For whatever reason, their family's story permanently captured the hearts of the public, and they have never been far from the news. However, what about the actual parenting side of things? As one can imagine, it's tough work. 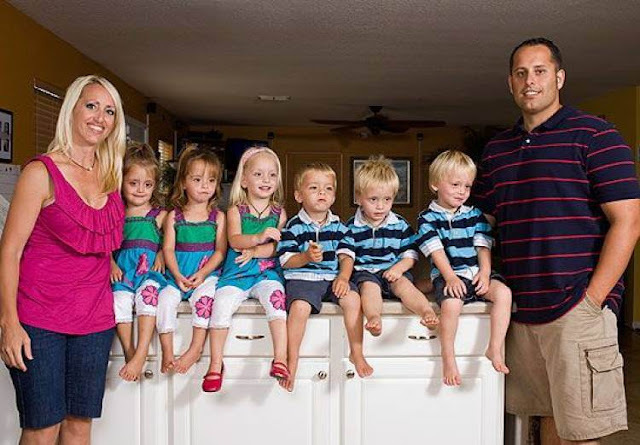 Even eight years on, the parents are still dealing with six different children and trying to get them all ready in time for school. They will not sleep properly for another twelve years, at least. Not only that but also Mia and Rozonno still have to earn money to pay for six hungry mouths. On top of raising the children, they run a full-time carpet cleaning business. It is exhausting only to think about it. Married for ten years before the kids arrived, and still married seven years later, it is a wonder that the McGhees haven't quietly imploded. However, through thick and thin this fantastic couple has kept it together, finding courage in even the most demanding times. Part of the reason they have worked so well is their fans, who always support them. So to say thank you to them, the McGhees decided to recreate the popular photoshoot that launched them into fame. Only the children have grown up! 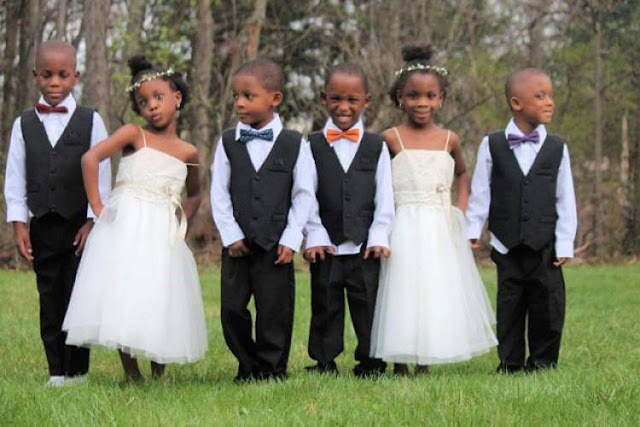 This picture is likely to go just as viral as their last. They may not be babies anymore, but they are still just as adorable as ever. I bet you haven't seen such a cute family before! The McGhee's story does not end here. 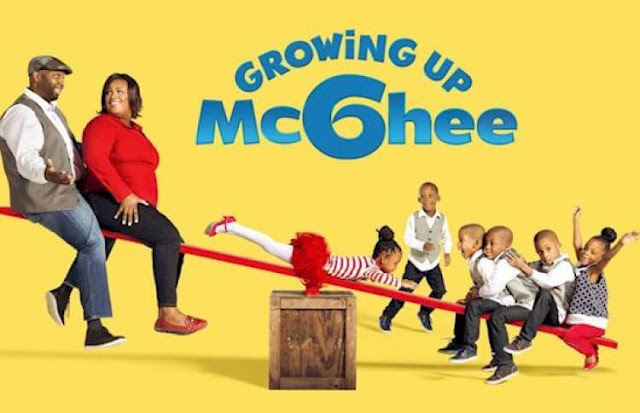 After the success of their first show, there's a green light for another called Growing Up McGhee that's looking to be another breakout hit. We cannot wait to see what the family will look like in another seven years time.